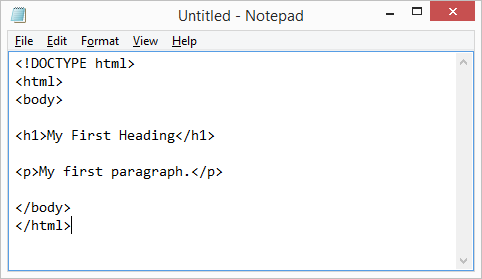 However, for learning HTML we recommend a simple text editor like Notepad. 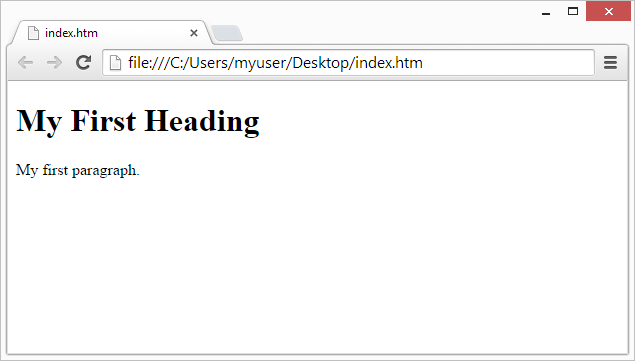 Follow the four steps below to create your first web page with Notepad. Hope you understand very well. Comment your queries so will definitely try to help you. Capture login form is a modern, elegant and creative login page for your corporate websites, admin panels, landing pages or any other type of websites which can be used as per your convenience. This Capture login form with sleek and modern design layout is perfect choice for your all types of websites. This fabulously designed login form has an attractive image background on which the main content is elegantly crafted in two grids of which the form content is designed on the left grid with transparent background and on the right grid the mobile image shows the view of details like online, search, friends, www, games, work etc. with clean and minimalistic style of design in every detail. This elegantly designed login form is 100% responsive cross browser form, compatible on all devices, displayed on all screen sizes. It is entirely built in HTML5 and CSS3. Make it yours now by using it, downloading it and please share it. First thing you need to do is login to your WordPress admin area. 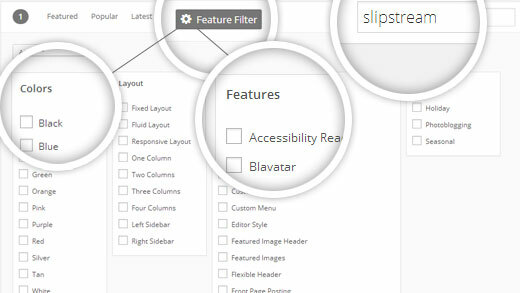 Next, click on Appearance » Themes. 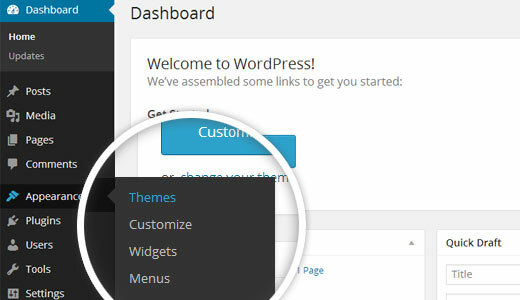 The first method that we covered only allows you to install free themes that are available in the WordPress.org theme’s directory. But what if you want to install a commercial “premium” WordPress theme from companies like ThemeLab, StudioPress, iThemes, etc. Or what if you want to install a custom theme? 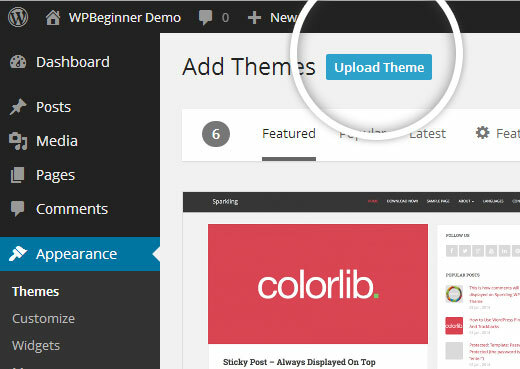 Well in this case, you would need to install the theme using the upload method from your WordPress admin. 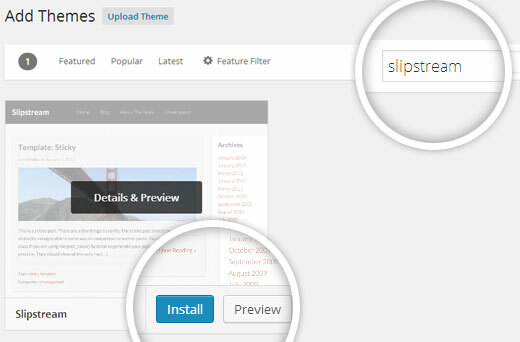 Note: The theme upload functionality is only available for self-hosted WordPress.org users. If you’re using WordPress.com, then you will not see this option because it limits you. In order to use custom theme upload feature, you would need to use self-hosted WordPress.org (See this article that explains the difference between Self Hosted WordPress.org vs WordPress.com). If you want to switch from WordPress.com to WordPress.org, then read our tutorial on how to properly move from WordPress.com to WordPress.org. If you’re feeling adventurous and want take it to the next level, then you can learn about installing WordPress themes using FTP. Remember, this is not for true beginners because it is a little bit more advanced. First start by reading this article about how to use FTP (Video Included). Now that you have read the article above and installed and setup your FTP program, connect to your host using FTP. You would need to go to the path (/wp-content/themes/). Once you’re there, simply upload your theme’s folder there. Remember you must unzip the folders before you upload a theme using FTP. 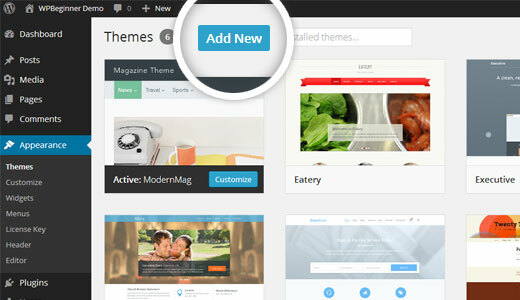 Once you have uploaded the theme, you would need to go to your admin area and click on Appearance » Themes. Hope you like this step by step tutorial on how to install any theme in wordpress within few minutes. You see its very easy as all options are available in wordpress admin.